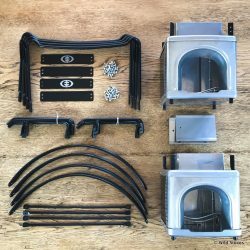 Turn the Envirofit G-3300 rocket stove into a 2-pot cooking system. The 2-pot adaptor for the G3300 Rocket Stove. Note this listing is for the adaptor only. 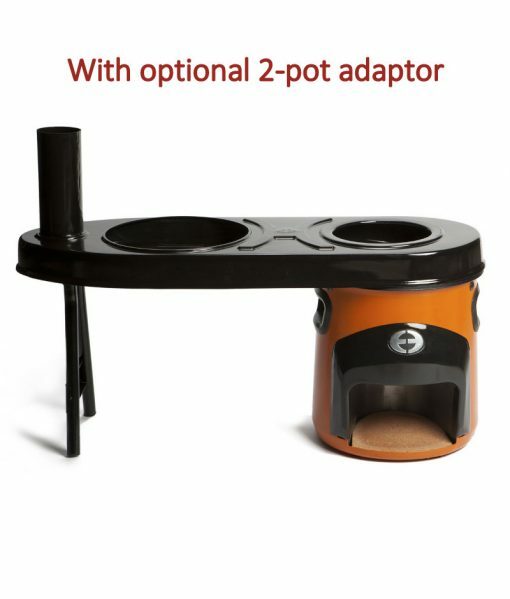 Cook 2 pots at once over a single rocket stove with this adaptor that slots onto the top of the some of the Envirofit range of stoves. 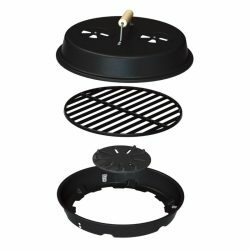 The first pot hole one the stove is hotter for boiling; the second set away from the stove is cooler for simmering. 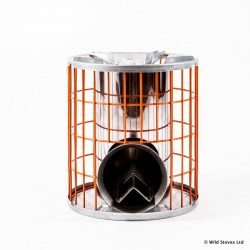 The flue gases are drawn under both pots and up a short flue that creates a draw. 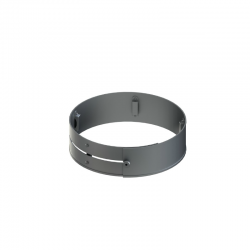 Easily remove to turn your stove back into a single-pot cooker.